Mark your calendars for June 9th, 2013. The 23rd Annual Alta Vista Community Picnic is being held at Billings Estate. We’ve had tremendous fun over the years so come out and enjoy! Please share our flyer! 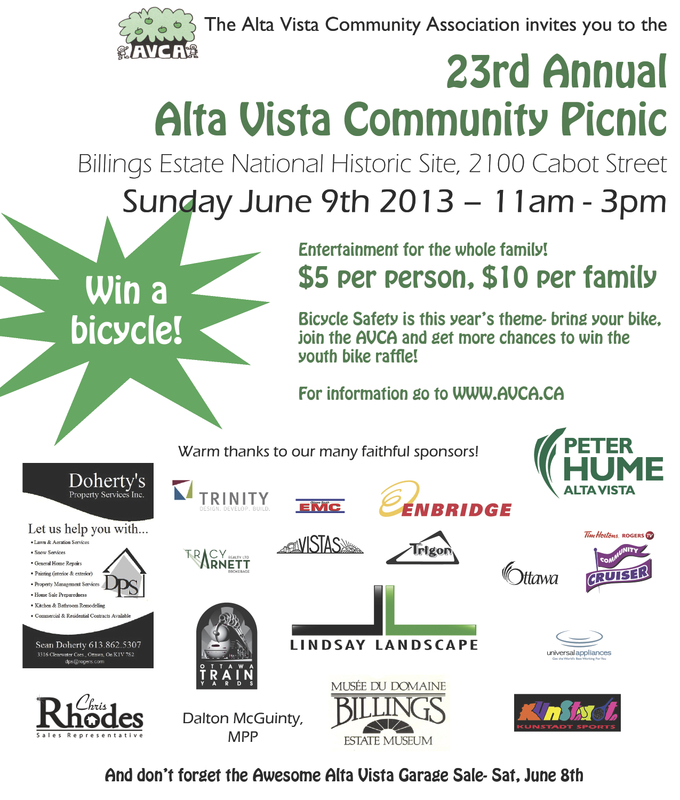 Don’t forget that the picnic is the day after the Awesome Alta Vista Garage Sale. Want to add your place to the Awesome Alta Vista Garage Sale map?